A mix of clouds and sun. High 63F. Winds N at 10 to 15 mph.. Applications made prior to planting increase the consistency of control of these weeds. Editor’s note: The following was written by Meaghan Anderson, Iowa State University field agronomist in central Iowa, and Bob Hartzler, professor of agronomy and Extension weed specialist, for the university’s Integrated Crop Management website March 18. 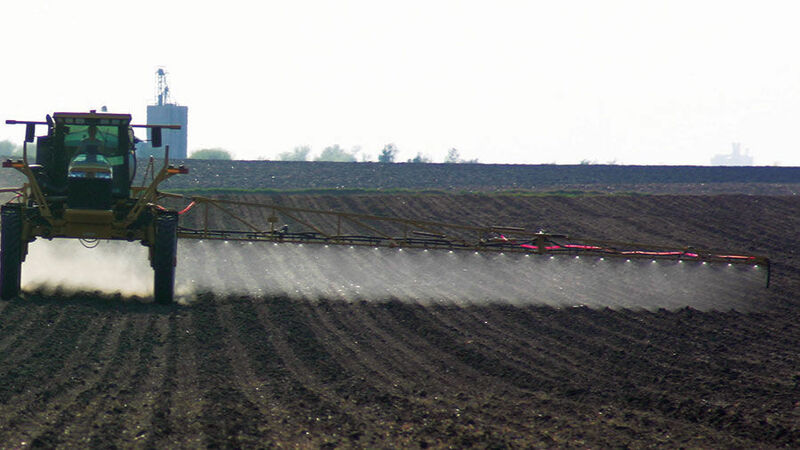 With the short timeframe for fieldwork this spring prior to planting, early weed management may fall to the bottom of the priority list for many. 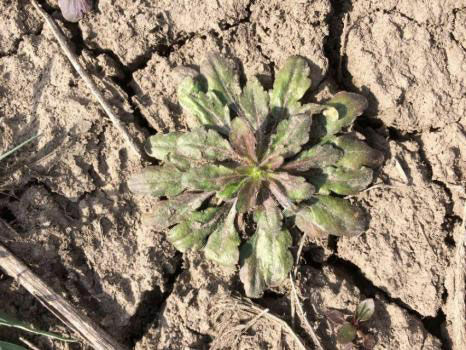 For those who have persistent issues with winter annuals (field pennycress, horseweed/marestail) in no-till, an early burndown treatment may be worth the extra effort this spring. Winter annuals resume growth soon after the arrival of warm temperatures, so as soon as fields are fit, the weeds will be susceptible to spray. Effective burndown treatments should follow herbicide label suggestions for carrier type, carrier volume, nozzle type and environmental considerations. Treatments made on sunny days with warm daytime (more than 55 degrees) and nighttime (more than 40 degrees) temperatures will generally be more successful than those in cooler conditions. When selecting burndown treatments, consider the likelihood of resistant horseweed biotypes in the field. HG 9 (glyphosate) and HG 2 (ALS) resistant populations are widespread across the state. Including 1 pint 2,4-D LVE or 1 oz. Sharpen to glyphosate will increase the consistency of horseweed control, even in fields without glyphosate resistance. Check pesticide labels for planting restrictions; most 2,4-D labels have a 7-14 day planting restriction for corn or soybean following 2,4-D application. Ester formulations of 2,4-D allow for a shorter interval to crop planting than amine formulations. In addition, esters often perform better under the cool conditions commonly encountered with spring applications.